In Italy, the education system is falling down. Literally. In about half of Italian school buildings, including universities, pieces of plaster are falling off the ceiling, water infiltrates into walls and floors are giving way, according to a recent report led by CittadinanzAttiva, an organization of citizens. But that’s only the tip of the iceberg, the apparent and most visible part of the Italian education problem. The hidden one is at least as much frightening. Each year, one Italian student out of five drops out of school. In 2011, 17.6% of people from 18 to 24-year-old left their studies prematurely. Three-fifths of those 758,000 were boys. In Europe, where the average is 12.8%, only Spain and Portugal did worse than Italy. Those numbers get even higher when it comes to universities. Only 45% of students who enrolled in universities are still there three years later to discuss their thesis, whereas they are 69% in average in the OECD. In a country that has, by far, one of the lowest university attendance in developed countries, this means troubles. This is not the only factor responsible for the lack of graduating students in Italy, numerous reports on the matter have shown. “Many variables interfere either in the access process or during the degree course,” says Carmen Aina. What are they? Lack of adequate guidance in choosing the appropriate university and the appropriate bachelor degree, limited availability of scholarships and insufficient diversification of university courses, as Riccardo pointed out. Consequence: students don’t show up at the beginning of the second year. Selection happens too late most of the time. Facilities are poor, lecture halls are constantly packed with huge crowds and teachers are overwhelmed. It is for instance very common for a student to take his oral exam in a class full of, say, 50 other students. Besides, standing out of the crowd is extremely high due to what is commonly called “grade inflation”, numerous students grading in the upper range. “Yet students are not formed to apply for specific jobs. There is no close relation between the universities and the labor market,” says Gardini. Attending the inadequate degree course is what made Marianna, 25, a university dropout. “As far as university is concerned, my experience has been especially varied,” she says. “First, I wanted to study architecture in Bari. I was preparing the entry test for years, but I failed the exam. I then chose to attend engineering class but there were only lectures and no practical exercises, so I left. I finally ended up in Milano, studying political science. But, once again, it was too theoretical and seemed so far away from the real world.” So Marianna left l’Università degli Studi di Milano and started working as a real estate agent. Picking a degree and then ending up in a totally different field is a very common story for an Italian student. It is a systemic failure rather than multiple misfortunes. University is either too open or too selective—like when a numero chiuso prevent Marianna to study architecture. Marianna probably earns less money now than she would have after having graduated from university. People with a university diploma make, in average, 53% more money than those who only got a high school diploma in OECD countries. But, at least, Marianna has got a job. Many students she met in l’Università degli Studi di Milano can’t say the same, even though they did graduate. In 2011, 21.8% of graduated students were looking for a job, only slightly better than the 23% of those unemployed with only a high school diploma. The difference between the two categories is tight, increasing the perception in the eyes of many younger Italians that a university education might not be worth it anymore, especially given the economic crisis and a lower-wage job supply thriving. Not surprisingly, students most at risk in leaving school are those who have a difficult economic situation, according to Carmen Aina. But other factors come into play such as the labor market situation and the family background—parents who got an university degree are most likely to insist on their children to keep studying. Whether it is to extend scholarships availability or develop more appropriate guidance to choose an academic course, money is needed. But Italy faces a shortage of funds. 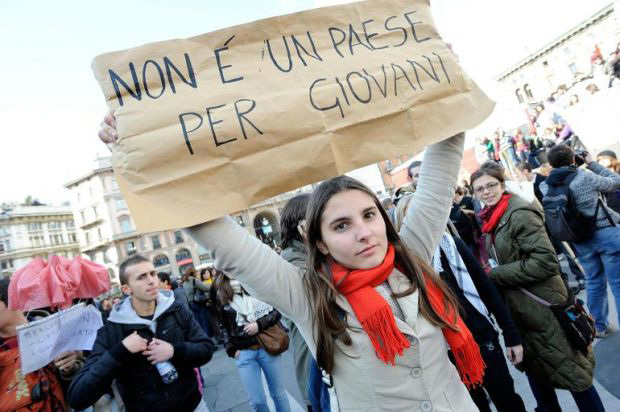 Spending for Italian university-level students—6,900 Euros, in PPP—remains well below the OECD average—9,759 Euros. In 2009, Italy spend 4.7% of its annual GDP for education expenditures, way less than many developed countries. As a result, Italian universities are constantly losing spots in university rankings. 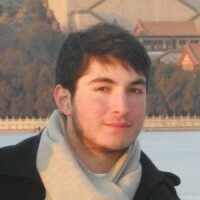 They are not to be found before spots 101st-150th in Shanghai’s academic Ranking of World Universities. And it’s even worse in the Time Higher Education Ranking, where the first Italian one—Trento’s—ranks among positions 201st-225th. Even though some private universities—such as Bocconi University—perform better, this also contributes to deteriorate the value of a university degree in the eyes of many Italians students. Last month, the ministry of education has started a program to reduce the phenomenon of early school dropouts and the indebtedness many face at the end of year. 15 million Euros will be distributed to the schools and the regions that need it the most, Sardinia and Sicily in priority. It’s not the first time Italy has tried to tackle this problem. In the end of the nineties, Minister of Education Luigi Berlinguer made professional training obligatory until 18 years old. It has been reduced to 16 in the following years. Since then, Italy tries to implement EU targets, which are to lower the dropout rate at 10% by 2020. A national student register has finally been established, its first numbers revealing, in 2011, than the phenomenon had been long underestimated. “The biggest problems we face in this country are the absence of a national and structured strategy to take care of this problem as well as a shortage of money,” says Alessandro Volpi, head of the Italian department of Frequenza200, a program launched by the NGO Intervita Onlus to keep young people in schools. Money could be part of the solution. But what’s paradoxical with Italy’s students dropout situation—from primary schools to universities—is that it would cost the country‘s economy 70 billion Euros each year, according to Daniele Crecchi, a professor of economics at the University of Milan who developed a model based on the data from Bankitalia and the statistics research institute Isfol “We lost about 4% of GDP because dropout students accept lower wages,” he told newspaper Corriere della Sera. The amount representing nothing but 4% of Italy’s GDP would likely help the Italian government to put the education system back in shape. As well as make sure ceilings don’t collapse on the heads of students. On March 12, Italian Premier Matteo Renzi launched a 3.5-billion-euro programme of investment to fix those decaying school buildings among its ambitious package of economic reforms. A first step towards the right direction? Mario, The New Hero ! Criticizing the Italian education system means not knowing how valuable and rich it is. 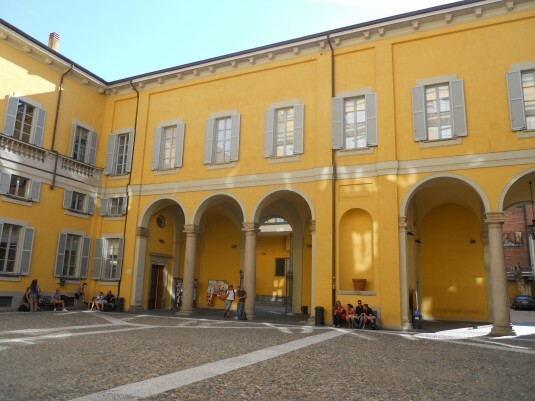 Partly, I regret not to have studied in Milan (following classes in the yellow building of the picture) rejecting a priori to acquire deeper knowledge during my bachelor programme.